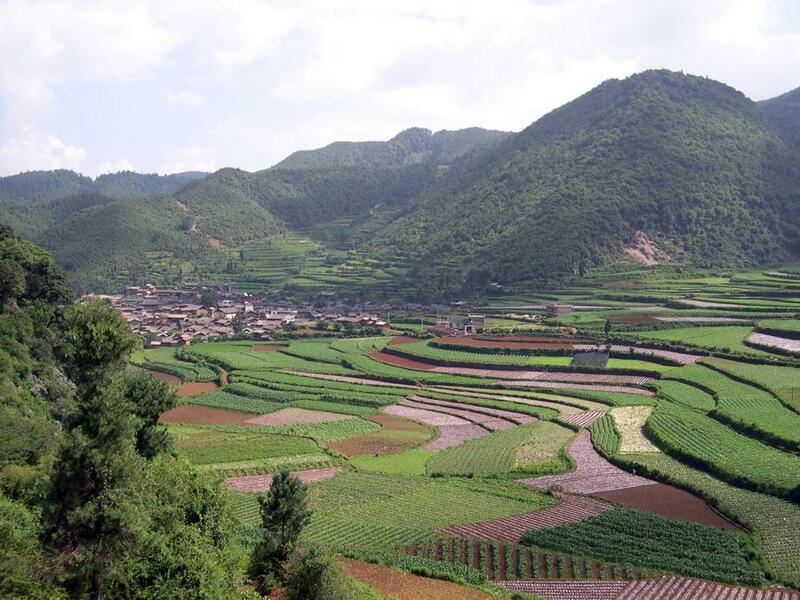 Yunnan:Songming Xian:Guodong Cun. N of the city of Kunming; Guodong village. Zhaobi Shan. Mixed broadleaved evergreen-deciduous forest with Alnus nepalensis, Lithocarpus, Quercus, Michelia, Platycarya, etc. and Pinus armandii. 25°23'32"N, 102°43'11"E; 2415 m.